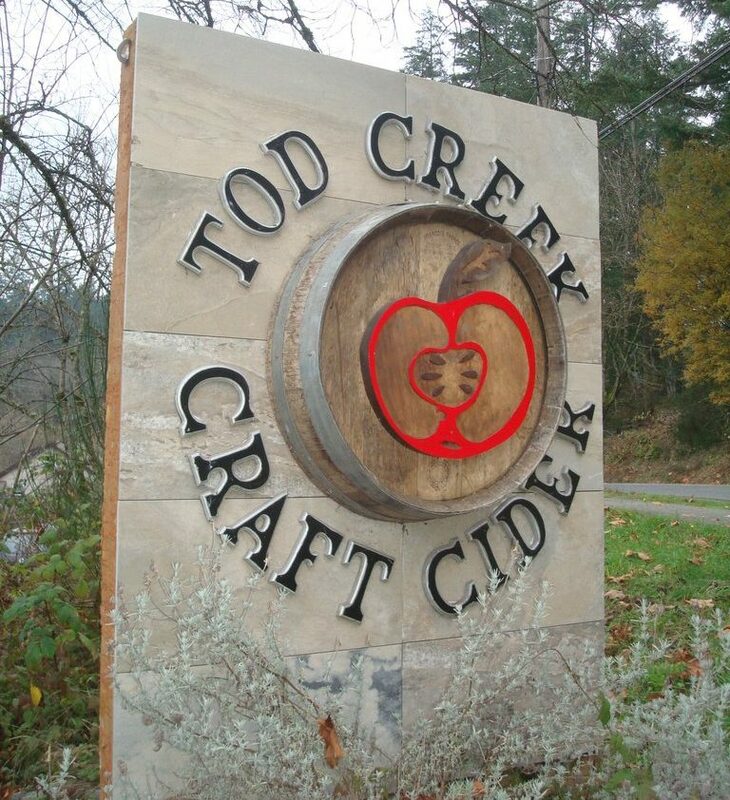 Logically speaking, Tod Creek Craft Cider should never have happened. It began when owner Chris Schmidt bought an old rundown dairy farm to house his construction company. The eight acres of land was zoned as Agricultural Land Reserve, and under the ALR rules, non-agricultural uses of the land are only permitted as long as there are farming or ranching activities also [as craft beer farm supporters are so keenly aware in 2017 – Ed.]. Chris, who has a wicked sense of humour, told me that he considered everything from berries to pot, but settled on an orchard and cidery because he really likes cider. The catch was that he knew nothing about growing cider apples or making cider. So five years ago, Chris began by taking a cider-making course at Washington State University, doing a lot of reading, and a great deal of experimentation. The first stage involved renovating the 9000 square foot dairy barn. Next was planting 3300 cider apple trees on three acres. These trees are all traditional West of England varieties on M9 dwarf tree rootstock: Dabinett, Kingston Black and Yarlington Mill, with Bulmers Norman and Michelin (Somerset varieties of French origin). Nat West (owner of Portland’s Reverend Nat’s Hard Cider) was a great help in those early days. The cidery has now been open for a year, and the 2016 cider was made with some juice from the farm, with the addition of some from apples growing on two acres that Chris leased near Kelowna. Chris is not interested in making certified organic cider, but all the apples are carefully selected to make a premium juice. He explained, with twinkle in his eye, that his ciders are made with “free range ethically sourced MSG”’–at which point I stopped making notes!! The ciders are excellent. We started by tasting Bamfield Bound, made with two thirds dessert apples and one third cider varieties (Dabinett and Tremlett) with a dash of maple syrup to take the dry edge off. Next was the excellent Malahop which is Bamfield Bound with the addition of Centennial, Stirling and Chinook hops. We took home a couple of these. Prospect Dry is a delicious cider, with a very traditional flavour. 6 percent ABV. 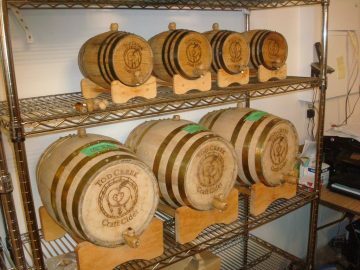 It is made with all Vancouver Island Granny Smiths lightly aged in Hungarian Oak barrels. This is a dry cider that went well with meat dishes, especially local lamb, as it cut through the fattiness of the meat. I really liked Totenköpfe (“Death’s Head”) Badass Cider, a 9 percent ABV blend of iced, wild fermented and bittersweet Ciders, and maple syrup. This was a medium dry cider with quite high acidity. John has been writing about beer for over a quarter century. 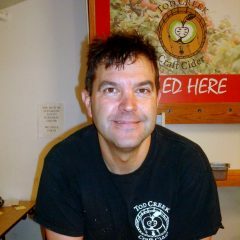 Read John's column 'Pubbing Around BC' in Celebrator magazine, and his column 'The Hopbine' in What's Brewing. 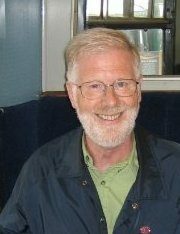 Along with his wife Carol, John is a founding member of CAMRA BC.